SYNOPSIS: Political thriller that remains unreleased and neglected in North America. 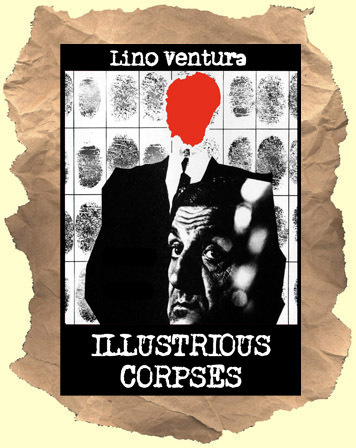 The always great Lino Ventura puts on his best poker-face as a world weary detective investigating a string of killing's targeting high court judges. The deeper Lino investigates the more dirt and corruption come to the surface. He's torn between finding the truth or simply closing the case quickly (which his superiors want him to do). Ultimately, a conspiracy emerges with Lino caught up in it. The media, power, politics and the justice system all take a hit in this forgotten import. This is pretty serious stuff done with first rate directing and acting. The cinematography, and locations they shoot in, is especially memorable. Recommended for fans of political thrillers like The Parallax View, Z, All the President's Men, etc. In spoken Italian with English subtitles. WIDESCREEN.